RV Boondocking: What is it? How does one prepare for it? Is it a legal/safe practice? The different types of boondocking and dry camping. The best RV camper for boondocking and how to effectively go about acquiring one. Challenges you will likely encounter when boondocking and the coping mechanisms that will exonerate you. How to adequately prepare yourself to deal with emergency situations while boondocking. Boondocking means camping without hookups and away from the many hassles that come with civilizations. It entails learning to survive in the wild and camping on private or public land with permission. Derived from “docking in the boonies”, boondocking can also mean camping on your own away from RV parks or camping off grid. Boonies is short for boondocks which means rough or isolated country. If you feel hindered by the many regulations and nuisances that come with living in parks, then boondocking is the perfect solution for you. It allows for a lot of freedom, self-reliance and enjoyment of the nature. Well, we cannot really cover anything else before uncovering what RV boondocking entails. Much as we know from our previous definitions what boondocking is, the practice entails much more than just dry camping and docking in the boonies. There are a plethora of subtypes for the practice depending on your preferences much as there are endless reasons why you might choose this practice. Other terms closely related to boondocking include dry camping, dispersed camping, stealth/pirate camping, free camping, primitive camping, Moochdocking and Wallydocking. There are very slight differences between these classifications but the biggest similarity is that they are devoid of sewer, electricity or water hookups. Dispersed camping is the official term for camping outside of campgrounds or in public/private lands as defined by the Bureau of Lands Management or the US Forest Service. Wallydocking is boondocking overnight at say a Walmart parking space while Moochdocking is also boondocking overnight but at a friend’s or relative’s place. Dry camping refers to staying in a campground without hookups. Temporary stay as one moves to other campsites. To accommodate living with pets if not allowed in apartments. To cut down commute or renting expenses in case one is employed in the area. As a way of frugal living. Boondocking can be as primitive or as civilized as possible depending on one’s comfort levels. There are many types of rigs to accommodate anyone’s needs. Camping in RV parks and campgrounds comes with a lot of rules and restrictions. With boondocking you are free to do whatever you want as long as it is not illegal. You can go wherever you please whenever you please. For an unhindered carefree camping trip, boondocking is indeed your best choice. From a starry sky unpolluted by urban life to wildlife and fun outdoor activities you need to get away from civilization, boondocking offers a practical and self-sufficient way to enjoy the outdoors. Contrary to belief, you are much safer boondocking than when set up in a campground or RV park. Dispersed camping in remote areas greatly reduces your chances of unfortunate encounters with unscrupulous individuals. Some RV parks or even apartment buildings don’t allow pets and thus boondocking can be a last resort for a home for you and your cats or dogs. Most RV parks and campgrounds charge fees on lodging, admission, use of amenities and hookups among others. On the other hand, boondocking is “relatively free” with only the initial costs being high. Professionals like scientists and wildlife photographers are able to work and live in nature with little to no hassles thanks to boondocking. Living away from civilization brings about freedom and an opportunity to learn oneself, to manage risks better and generally develop on one’s self. The uncertainties involved with disperse camping help you gain competence through learning to do things on your own. To nurture ideas and innovate, solitude can help get rid of the distractions prevalent in these modern times. Boondocking is perfect at this as is evident with disperse camping to remote areas where you may not see anyone on site expect for patrolling rangers. Life is too short to be stuck in one place, take your home with you to new places and sceneries. With over 245 million acres of public land and over 100 recreational areas all over the US, it is time for an adventure. Bureau of Lands Management (BLM) and the US Forest Service manages public lands and forests & grasslands, which are ideal and open for camping. BLM oversees more than 247.3 million acres of lands across US, a majority of which are accessible to boondockers all year round. Rich with wildlife, beautiful sceneries and well maintained access roads, there has never been a perfect time to boondock as now. Despite the fact that there is no camping fees, you get maximum proximity to attractions. Neighbors being a nuisance? Just move to a new spot or even state in a low cost adventure-filled manner as is the boondocking way. Boondocking forces one to get out of their comfort zone and thus a lot has to be planned beforehand to make it an enjoyable experience. Above all else, if you decide to go boondocking full time, it is always advisable to have a backup plan as most RVers quit the lifestyle after two to three years. The uncertainty that comes with this kind of camping is what makes it so worthwhile. However, taking short excursions or trial runs can help assess if you are ready to boondock for longer periods. Which type of RV should I get? How many passengers will you be taking with you? Pets? Family size? What size of RV is ideal for boondocking? 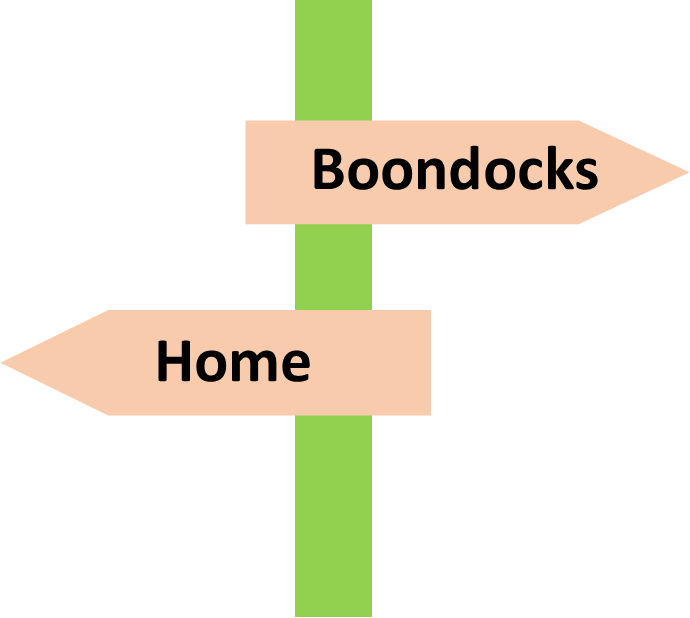 What seasons do you intend to boondock? What are your heating and air condition needs? What is your budget or preferred comfort level? Is boondocking right for you? Escapism. While a change of environment may be a good starting point to counter life’s stresses, it must still be accompanied by determination, discipline and motivation on your part. Thus, boondocking is not a fix-it-all to your life struggles. Cheaper way to live. If you are getting into boondocking as a way to live cheaply, then you must take into account the initial costs of getting an RV/tow vehicle, daily expenses and emergency funds for repair parts. All these must be evaluated to determine if it truly is a more affordable way to live as compared to a house. A means to make money on the road must also be strategized to counter uncertainties on the road. Self-reliance. Boondocking means exploring remote areas mostly with poor access roads and reception. 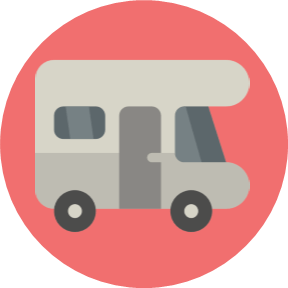 Therefore, you must be ready to repair your RV and carry out the required handiwork that comes with outdoor camping. Mechanics will either be reluctant to get to where you are or very costly to. Thus, you must carry out regular RV service and always have appropriate tools. Giving up on conveniences. Poor climate control and limited space is partly synonymous with RVs. However, there exists luxurious coaches that are actually more expensive and cozier than most houses. Thus, the conveniences you are giving up can still be accessed in boondocking. Regardless, boondocking demands thorough preparation, an adaptive mindset and a backup plan. Section 3: Which is the best RV for Boondocking? An RV that offers functionality, flexibility and just enough livable space is the most ideal one for maximum exploration. Campervans are some of the most popular and affordable RVs for boondocking while truck campers like the Unimog offer the best off-road performance in expense of space and fuel efficiency. A molded fiber glass body is always desired for durability reasons. The duration you intend to partake on this kind of camping is also important. may opt for comfort, security and space needs in an RV as opposed to short term RVers who may go for flexibility and functionality over everything else. Four-wheel drive. This is important if you are either pulling a trailer or driving to remote areas with poor or no roads. A higher clearance or high-lift-axle trailers can substitute for this as most of public lands have well-maintained roads. However, the four wheel drive performance acts as a precautionary measure for when you get stuck. If the RV can drive up and over a curb comfortably, then that is enough clearance for most roads. The higher the clearance the more remote places you can access. Lift springs over the axle can also help increase the clearance. Specialized garage shops too can help convert your current rig into a four-wheel-drive-capable RV. Length of trailer. Long trailers will have a hard time getting through twisty roads and sharp curves. Even worse, trying to reverse out of such fixes will be a nightmare. Overhead clearances are also a big deal in avoiding low hanging branches. Tall or lengthy trailers may cause swaying which is not good for stability. Power source. To power your heater, lights, fridge and electronics, you will need a power source. A portable generator or a solar panel kit are sufficient with the latter being the most cost-effective. Food and water storage. About three-week supply of water and food is necessary for a fulfilling and affordable boondocking lifestyle. This means your RV must have a sizeable refrigerator, cooler and water tanks or space to install the same. Other means to increase your supply of water is to get collapsible water bags and use portable water filtration, treatment & purification kits. Climate control. Hypothermia is a very serious threat to camping in the wild. Therefore, there’s a need to have a proper climate control system for your RV. Proper insulation can help in preventing heat loss but a heater/AC unit is mandatory. A four-season AC and heating unit is the best option for effective climate control. Unnecessary options. Riveted trailers like Airstreams, Casitas and Scamps can be forgone as the rivets easily pop off and can be a headache to repair when off grid. Slide-outs are also cumbersome to deal with, prone to damage and may compromise your climate control system; thus it is best to avoid RVs with such. Dual-wheeled trailers are also frowned upon as rocks may get stuck in between wheels and damage the sidewalls. In short, you want to avoid any features that may require a lot of repairs down the road. Buying with cash is the most recommended payment option; avoid credit by all means. Boondocking may complicate your ways of earning a living and therefore you want to minimize costs as much as possible. Financing through banks or other third parties means you will pay more than the price tag value owing to interest on loan and other hidden add-on fees. Monthly payments on the RV will be expensive and very stressful to keep up with; therefore ALWAYS buy with cash. Alternatively, if you already have a van, you can take it to some specialized shops for a conversion into a full RV. Be sure to register it afterwards as an RV, otherwise it might attract fines/tickets for surpassing set weight limits. Van dwelling is also a hit for most RV enthusiasts; it is especially ideal for stealth camping. 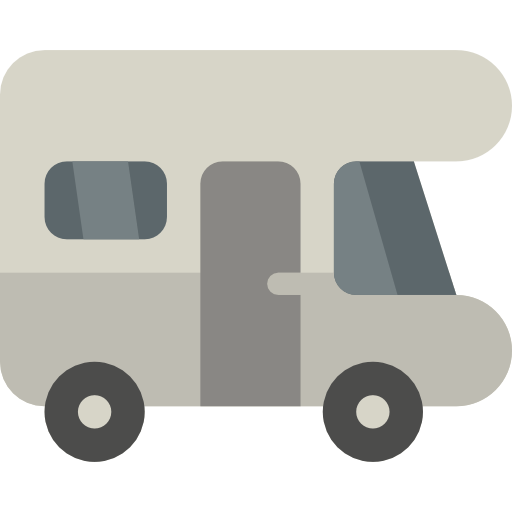 Accounting for depreciation and other factors, used RVs can be sold at 20% less than the sticker price or even lower during low-sales seasons like winter or fall. Do a thorough research and consultation on the type of RV you are interested in getting, a better idea on the price, and general things to consider. Don’t go for the add-on options recommended by dealers as they will add weight on the RV and may not be necessary for boondocking. Always buy used RVs and preferably not from a dealer. 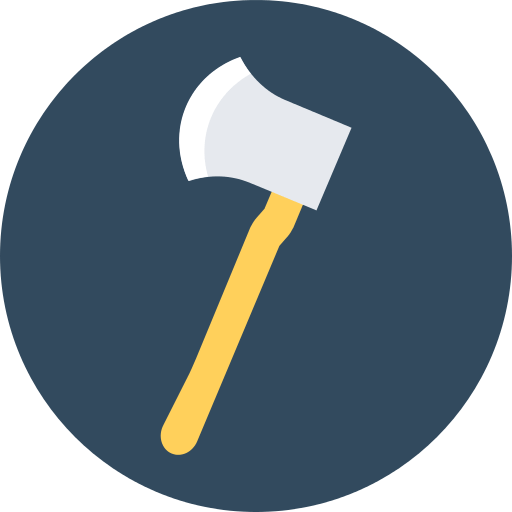 A dealer plays the middleman role between you and the manufacturer which means addressing defects can take up a lot of time. 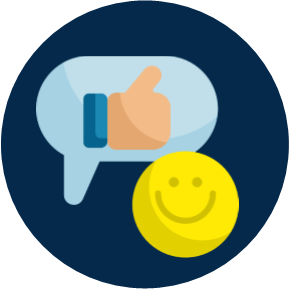 Dealers are more focused on the sales than on repairs and general customer satisfaction. A preferred route to take is buying direct from a private RV owner. However, always exercise caution and have a mechanic check the rig before committing any payments; otherwise a reliable dealer will suffice. Ensure that features that fail within the first year of service have already been repaired; thus you will be buying an almost new RV at a cheaper price. You can also opt to repair and upgrade parts before hitting the road for a better experience. Driving to remote places with a new RV will mean getting pinstripes from bushes, and a lot more cosmetic damage. With a used RV, the risk is lower and you get more freedom to explore more remote areas. A used rig is also a cheaper option in case you change your mind on the lifestyle as you can resell it and not suffer a huge loss. Related costs like insurance and addition of features are also very low for used RVs. You will have varied options of used RVs with already customized living spaces which in itself is a money-saver. In general, a big rig is ideal for comfort than flexibility as they have large interior spaces while small rigs are favorable for people who prioritize on the outdoorsy experience more than the living space. For minimalists and frugal enthusiasts, a small RV provides the best option. Big-sized RVs are usually more expensive to maintain as they carry extra costs on heating, fixing appliances and repairs, and may require even bigger tow vehicles. It’s easier to sell-off given the high demand for small RVs. Easier off-road driving meaning more access to great camping spots. Running costs are very low as compared to big RVs like coaches. Space can always be extended using shade shelters, screen tents and free-standing tents or by installing bike racks and roof carriers. In case of a pickup tow vehicle/trailer combination, the bed can be used for extra storage. Ideal for short-term boondocking experiences. Most of the stuff in a big RV ends up not being useful while boondocking thus it makes sense starting with a smaller RV. Towable trailers will require you to get a tow vehicle to hitch up to. While most types can be towed by vans and family SUVs, other trailers have specific requirements. For instance, the gooseneck connector in fifth-wheel trailers can only be hitched to a vehicle with a flat or open bed. Surpassing weight limits (tow/trailer combined) set for various vehicles may attract tickets or even law suits in case anything happens. Therefore, always refer to the manufacturer’s instructions and related laws before deciding on the right tow vehicle/trailer mix for you. A fuel efficient, V8 engine pickup is more than ideal for boondocking. Over-the-cab installation, depending on trailer or tow vehicle, can be of help to increase storage space in the RV. By law, passengers aren’t allowed to be carried in trailers when on transit. Plus, you may want your pet to ride with you at the front. Staying in one place for longer and taking it slow on the road can help you save some fuel and enjoy nature more. A pickup/camper combo is a popular choice for most boondockers. It offers the ideal size for parking, maneuvering and driving in urban areas without compromising on an efficient boondocking experience. A pop-up trailer on the other hand is low-profile and very fuel-efficient, making it one of the cheapest RVs for dispersed camping. Like every other undertaking, RV boondocking is never devoid of challenges. In fact, the chalenges involved with boondocking are to be expected from the word go. Ranging from the search for the ideal boondocking sites to coping with the wild elements at the various campsites, the challenges are more than enough. Nothing will be your best weapon than adequate preparedness with both information and the requisite tools. Dangers like lightning exposure, falling timber or rocks and so on. General wind directions in the area. Presence or anticipation of other campers. Type of rig you have. Documenting all the places you have been to in a notebook can help identify the key factors to consider for your own needs and also to quickly assess your favorite areas. Maps are a good resource to identify areas open for boondocking. They include BLM maps, Delorme Maps, Benchmark Maps and the Avenza/Google Maps combo. 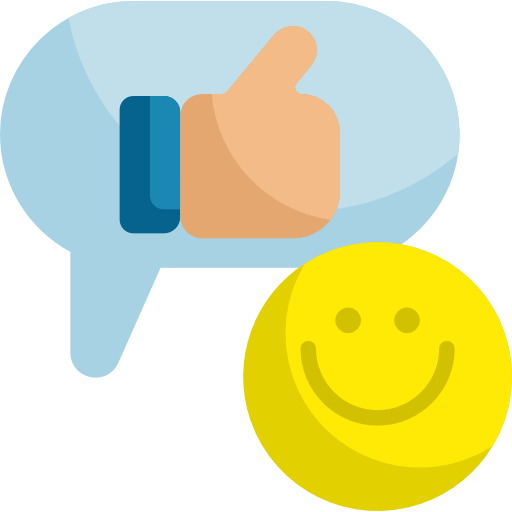 RVers also post their favorite spots in websites like Campendium and FreeCampsites, but expect many people in the places mentioned. A service like Google Earth can give you an overview of the expected terrain of the area. As you make a decision on where to move to next, as with most RVers, you can stay overnight for free in places like construction sites, hospitals, marinas, big-box stores such as Walmart and Crate & Barrel, empty lots, dirt roads off highways, truck shops and beaches. Easy-to-cook, long shelf-life food and food that requires less cooking pans or dishes to prepare, is most preferred. Storing your food in a cooler may reduce the trips to the store which subsequently cuts down your fuel expenses. Water conservation is crucial when it comes to boondocking. For drinking water, use water filtration, treatment and purification kits that can take water from any source and turn it into clean drinking water. Collapsible water containers are also ideal for storage and will save you some space. Remember to clean your water hoses regularly to prevent contamination. Showering can use up a lot of water if not done carefully. Use low-flow shower heads and faucets. Additionally, shutting off water when lathering up will help greatly with conserving water. A propane shower heater, solar shower bags or heating water on a stove are good options when you want a hot shower. To conserve even more water, do spit baths (cleaning with a damp washcloth) or use showers in Rec centers. A Laundromat is the best option for laundry. Sprinkle grey water around your campsite to avoid it overflowing in the holding tanks, as long as you use eco-friendly or all-natural bath and cleaning products. A compositing toilet can eliminate the need for a black tank but you can also use the many dump stations around US to dump your black water. Trash is also a big problem while boondocking. Reduce trash by removing and disposing original packaging while still at the supply stores and buy only what you need. 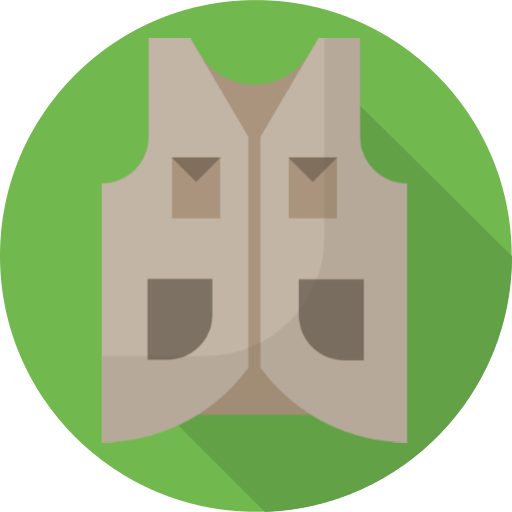 The grocery bag can be used as a trash bag in the RV. Dispose the trash in the appropriate spots. Cold climate brings about heating concerns and the best way to deal with this is just to move to warmer regions. To prevent rainwater from getting into the RV through open windows, you can install rain gutters and jealousy windows. A weather radio powered by winding up or solar is helpful for weather updates. It will make you aware of flash floods, high winds and wildfires. Avoid camping in low areas or stream beds and camp near wind breakers if high winds are expected. Placing solar panels flush with the RV’s roof. Heating can be provided for by using heaters like furnace heaters with forced air fans and vent-free heaters. Proper insulation, apart from blocking outside noise, is also necessary in reducing heat-loss. Cutting out insulation or reflective material and fitting them in windows can help improve insulation. Use of thermo-curtains is just as effective. A carbon monoxide detector is a must-have to detect CO poisoning due to the use of propane. For this reason, never use a propane cooking stove for heating purposes. Opening the windows, doors and parking in shades helps in controlling airflow in the rig. Dressing warm is also a good measure. A good down/wool sleeping bag plus warm sleep-wear will keep you warm throughout the night. Cold drinks also tend to increase blood circulation and can help in keeping you warm. You will need a power source for your lights, fridge and charging your electronics. A power generator or a solar panel kit is adequate. A solar panel kit with inbuilt converter, sine wave inverter and battery is much more ideal. A sine wave inverter is used to power up your electronics be it your laptop or television. Generators are costly to run as they need fuel plus can be very noisy. The boonies are home to wild animals, pests and insects. Some animals like mountain lions, bears, coyotes and wolves may attack you if they feel threatened while some insects like mosquitoes and wasps will bite and sting you causing itching lumps on the skin. There are a few deterrent measures you can use to prevent all this but the ideal ones will be those that are effective without causing harm to you or to the environment. Wearing head nets and jackets. Avoid use of scented perfumes, sprays and soaps. Other repellent remedies include peppermint oil, marigolds and citronella grass. Rodents and porcupines can chew into the rubber of your tires, electrical wiring, van belts or the radiator hoses. A chicken wire around the rig is guaranteed to keep them off your rig. Other deterrent options include switching to silicon wiring, popping the hood slightly open to allow in light and using ammonia or moth balls. Hantaviruses are rodent-borne viruses that have been known to cause varying clinical illnesses in humans depending on the rodent host. The infection causes hemorrhagic fever with renal syndrome (HFRS). Hantaviruses have no curative treatment yet. Therefore, avoiding or minimizing contact with rodents is the surest way to prevent infection. That means checking possible nesting areas before setting up on a campsite. Deer mice, cotton rats and rice rats in southeastern US, and white-footed mouse in northeastern US are known carriers of Hantaviruses. The host transmits the virus to humans via inhalation of infected rodent droppings, saliva or urine. Valley fever is caused by inhalation of fungal spores found in dust and soil particles in arid areas. Treatment for this fever may include antifungal therapy. In most cases, people don’t exhibit any immediate symptoms, but 7 to 21 days after inhalation they start to show flu-like symptoms such as muscle pain, fever, dry cough, weight loss, rash, pneumonia and headaches. Possible prevention measures include driving in an air-conditioned vehicle, wearing a tight-fitting mask to filter out small particles and wetting the soil before carrying out soil disrupting activities like pitching tents. Bears can be scared away using bear spray or air horns. If you spot a bear meters away, just turn around and head in its opposite direction and DON’T run. If you are taking your dog for a walk, it must be on a leash to prevent it from chasing wild animals. Moose and bison can also charge on you if their homes are desecrated. If you get bitten by a snake, seek medical advice immediately. In areas with most snakebite cases like Oklahoma, West Virginia, Texas, Florida and Georgia, officials offer free snake-avoidance training. A snake bite kit and basic first aid can be helpful in such situations. Scorpions, spiders, centipedes and other critters are also a threat to boondocking. Use gloves if possible when picking up say firewood and make sure to check underneath/inside items such as shoes before using them. To counter any allergenic effects, always have appropriate medical supplies like an EpiPen. Always clean up your camp site and store your food securely and away from where you are sleeping to avoid encounters with wild animals. Leaving food containers outside will have you attracting feral cats, skunks, bears, squirrels, ants and flies. Always keep an eye on your kids and pets, and don’t leave your pets outside at night. Wild animals pose a serious danger to boondockers. However, it is a fact that they mostly attack when they feel threatened or when their homes are invaded. Primarily, you want to research as much as possible on the area you are camping at to learn of the types of animal threats you might run into. Since boondocking involves moving from one part to another, you can always move if you feel at risk. Pets can serve as hit or miss alert systems and travel companions. Dogs can alert you of any intrusions while cats are very quiet living partners. However, they both tend to wander off regardless of food supply. Even then, living with them in the boondocks requires planning. Some kind of ID on the pets is necessary to let people know where to return them or where to send notifications of any medical information regarding the pets to. Having your pet micro-chipped is a perfect identifying/locating solution. Keeping an updated vaccination history or relevant medical information on your pets is not only beneficial to you but also to future owners of the pets. While it is not recommended to leave your pets in the trailer, leaving a sign indicating you have pets and how many is good precautionary measure. Other considerations include proximity to vet services, pet carriers and an emergency kit for your pet. Preparedness is the first step in boondocking. It involves setting up emergency plans, getting appropriate insurance policies, keeping your RV serviced and bringing along suitable tools. Being handy is essential for carrying out repairs and maintenance of the RV and troubleshooting on the same. A simple checklist for basics to have or routine to follow when moving camp shows preparedness and counters potential logistical challenges. Typically, you will be allowed to park in most public lands for 2-3 weeks after which your stay may attract fines. In some cases, the rangers may label you a squatter and treat you accordingly if you prolong your stay. For this period, you can learn on what you need and anticipate on refills of water or food supplies. Being organized will help you load/unload your supplies more quickly and easily when moving to other parks. Maintaining your equipment and rig in good condition can help you avert roadside challenges. This includes keeping your tires aired, ensuring the battery is in good condition and performing regular RV service. Tools of the trade include a voltmeter for troubleshooting any faults and a portable air compressor/canned air for flat tires, and tire plugs. If you or your pet have pre-existing medical conditions, it is recommended that you have close proximity to vet services and hospitals. Always stock up on medical supplies before hitting the road, in addition to making sure that the first-aid kit is fully equipped. Boondocking can be hard to manage at first but with constant learning, you can be able to anticipate your needs and come up with solutions along the way. Boondocking for short periods or with friends can help boost confidence. Self-dependence is key to surviving in the boonies, as you will have to do a lot by yourself. If not, then having a solid assistance system is just as important. Some insurance companies offer RV-specific covers to RVers with features like roadside and medical assistance for you and your pet included. If you have such a cover, simply contact your insurance agents and they will offer any on-the-road assistance you may need. At this point, let us remind you to always read the fine print before getting any insurance cover. For instance, some covers will not be helpful if you are not on recognized or paved roads. Carrying a notebook or laminated card with medical information and location of your campsite can also be very useful to the rescue team. They can use the information to get your pets and belongings if you are incapacitated. Proper communication is the center of it all; thus get yourself a phone plan with a carrier that covers even the remotest of areas. Alternatively, a satellite phone is more than effective as a means of communication. A Personal Locator Beacon (PLB) is a device that locates wherever you are and can be used to send an SOS call. The response team may take a few hours to get to where you are thus it is advisable to use it for real emergencies. Feeling lonely can creep in anywhere including at home but tends to get worse when boondocking. Being able to fight off loneliness and/or boredom is a personal endeavor that requires one to have hobbies or interests. You can also use the tips below to shake of boredom and loneliness. Humans are social beings and thus we require social interactions with each other every now and then. Boondocking is more tailored for introverted persons. It can be very lonely at times especially during evenings. However, you can take advantage of a few socializing opportunities as discussed herein. Going to town for supplies every two weeks is an opportune moment to socialize and catch up with friends or family. A good radio, as well as having pets, helps break the silence. Some routines like walking dogs in the morning, morning runs and having dinners together develop for boondockers living in a given area. Moving to other campsites attracts convoys of fellow boondockers giving rise to a chance to catch up and share on experiences. This is especially common in winter as many seek to escape to sunnier regions. Generally, picking up a new activity helps kill boredom while boondocking. This can be a hobby or interest that you enjoy, moving camp, exploring new places and so on. Anything that can break routine or get you to be active helps greatly in getting rid of boredom. Access to the internet, even though restricted by power, can be a great doorway to entertainment, socializing and so much more. Remote work like offering technical support or online tutoring can also help to keep you occupied. Some other common activities among RVers include making quick day trips, hikes, reading, writing, playing solitaire games, ham radio, blogging, making art, geocaching, photography and canoeing/kayaking among others. People are herd animals and may occasionally invade your perfect camping spot despite your presence there. Some people can be very annoying and may not take “no” for an answer. Even worse, some will keep you up at night with loud noises or even use your camping gear without permission. While it may be difficult to deal with such people, you can still take some measures before deciding to move to a new spot. Living where no one else wants to live reduces the risk of dealing with space invaders. Know your boundaries and speak out on them. Some people may be trying to be friendly so make clear of what is appropriate to you and speak out when that boundary is breached. There will be an 80% chance that the other party will back off in such a situation. Develop consistent behavioral cues to assert the message you want to deliver to someone. If words don’t work as they should, develop non-verbal cues to signal control or end of a conversation. Respect their boundaries regardless of the fact that they are violating yours. This will help maintain the relationship and will most likely be reciprocated in kind over time. While these measures might label you as being “uptight” or “boring”, in many times will have accomplished their purpose. Most campers boondock to get away from people. Therefore, you also need to respect this and not invade their space and quiet. It’s also very rude to hog on too much space especially if you boondock in groups. This means having a better organization of your outdoor camping items like tents, tables and lounge chairs. Picnicking on primo spots can also be a subtler way to be a space hog as you might be denying your fellow boondockers a place to pitch a tent. Not parking too close to another boondocker and also asking if you can camp there, helps break the ice and improves on the neighborhood-relation aspect. Camping safety is more about awareness than anything else. Being prepared for any uncertainties, trusting your instincts and using any preventive measures ideal for you will help you feel more secure and safe. Keep yourself updated on information about flash floods, wildfires and other natural disasters. Reliable communication devices, a PLB and a state rescue insurance plan must also be prioritized before boondocking. Places where you will not bump into too many people tend to be more secure. Therefore, boondock as far away from other people as possible; rural areas are preferable as opposed to urban ones. Other measures to improve on security include locking everything up in trailer and taking anything of value with you when making errands. 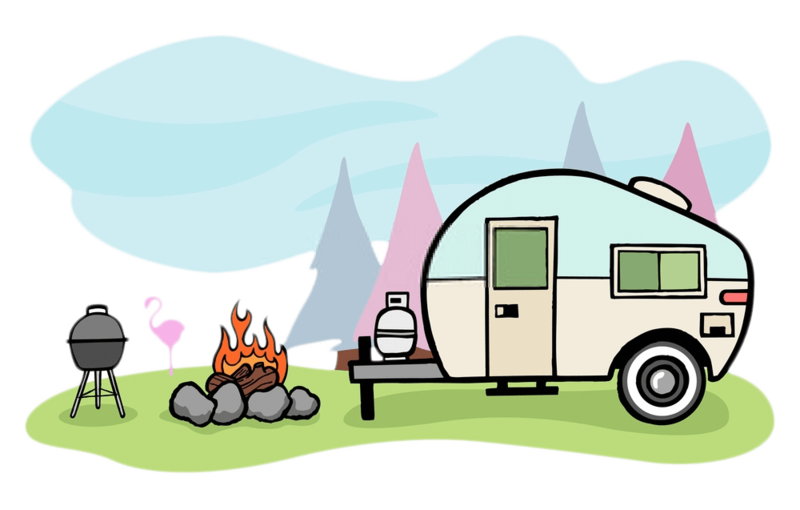 Avoid keeping things that might attract attention outside and always keep your RV windows and doors locked at night or when away. Installing motion detection lights, alarms, security cameras and using safes for your valuables are also good measures to keep off intruders. Another point worth remembering is that having a well-serviced RV will keep your mind at ease, ready to face any challenges ahead. Camping in groups and being social helps keep vigilance on everyone’s property when boondocking. Other tricks to show that you are in proximity or armed may include personal notes like “John, I will be back in 5”. Placing two camping chairs around your campsite to warn that you are not alone, gun club posters and “beware of dog” posters can also be effective. Carrying a gun may be useful; however keep in mind that a lawsuit can follow or the weapon can be used against you. A dog is a better alternative to alert you of intruders. For navigation, don’t just rely on your GPS. Instead, countercheck with a map and a compass for more accuracy. Always let someone, either friends, family or colleagues, know where you are at all times. While it is not encouraged to take to the mountains alone, there are a couple of measures you can take for your own safety. Hiking poles can be used as crutches if you sprain your ankle or break your leg and a PLB can be used to send an SOS call. Wildfires are a serious threat to camping in the outdoors. About 84% of wild fires are human-caused in one way or another. As such, always observe campfire safety and keep yourself updated on such information. An internet connection or a weather radio can help keep you abreast of any happenings in the area you are in. The main operational principle for any kind of camping is the "Leave No Trace" principle. In this principle, it is stipulated that if you are not in a position to leave a place better than you found it, then just leave it the way you found it (without any negative signs that you were there). Leave what you find, only take a memory/photo with you. Camp within a set distance from the road. Keep off water sources and avoid crushing vegetation. Stay away from historical and archeological sites, migration routes for wildlife or watering points. Stay on the campsite for only the set duration (mostly 14 days). Other areas don’t allow for setting up of campfires or even collection of wood. Leave the gate as you found it. Don’t disturb the soil by digging trenches or such activities. Even though the rules will differ from camp to camp, always strive to leave the campsite better than you found it. If not, then LEAVE NO TRACE! Do you enjoy being outdoors, soaking on the peace, quiet and natural splendor? Whether you like camping in the wild alone or with a few friends, boondocking is the best camping style for you. A few survival tips about living in the “wild” and actual tryouts will guarantee you an awesome boondocking experience.